After survey and Focus group interview, I suddenly realised that Kakao Talk can be a women’s communal space in these days. Of course Kakao Talk is not designed for only women and many people use it every day regardless of the age and genders. However, their group chat rooms, the chat rooms for ajummas where they’ve created and they’re involved in. That can be a women’s communal place, I reckon. So I started to find a women’s communal spaces. Hair shop, Sauna, etc. But I want to find a ‘Korean’ women’s communal spaces. For this reason, I found the wash place. Of course, every country has or had the wash place. But, Korean wash place was a bit different from any others’. We don’t have to go to the wash place to do laundry today due to almost every house have technologically developed and upgraded washing machines. Or there are coin laundry shops nearby our houses. Whereas, back in 1960s, going to the wash place and doing the laundry is must do thing for women in Korea. And this wash place was like a multiplex where women not only do their laundry but also meeting others and even taking bathes. They don’t make an appointment for meetings, but they expected to meet someone whoever they go to the wash place and of course they could meet someone in that place. As a social place, women in Korea they could share useful information or sometimes just mundane gossips about their mother-in-law, etc. Thus, wash place for women in Korea during 1960s was not a place only for doing their laundry. It is more like a communal space at that time. Wash place during 1960s in Korea was considered as a ‘women-only communal space’ even though there was no law and regulations that prohibited men to come in. 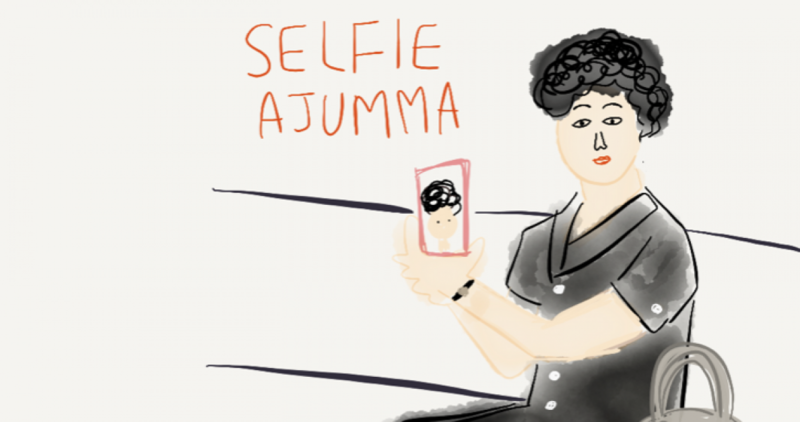 Posted on 19 Feb 2016 22 Feb 2016 by moon ajummaPosted in Digital Ppal-let-ter Project /디지털 빨래터 프로젝트 (Creative Project), Smart Ajumma (English)Tagged 1960s, ajumma, communal place, 대한민국, 아줌마 화이팅, 아줌마화이팅, 한국여성, Kakao Talk, Korea, Korean ajumma, Korean women, multiplex, wash place.